Sasuke fight. not sure, looks like Sasuke is about to fight some Zambies (zombies). 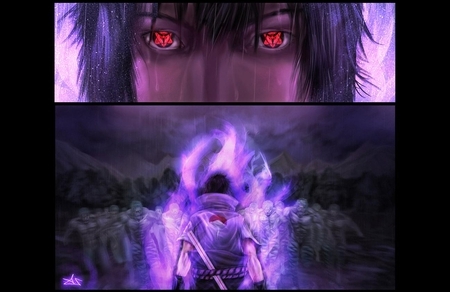 Wallpaper and background images in the Sasuke Ichiwa club tagged: photo sasuke purple fight. This Sasuke Ichiwa photo might contain fontaine.